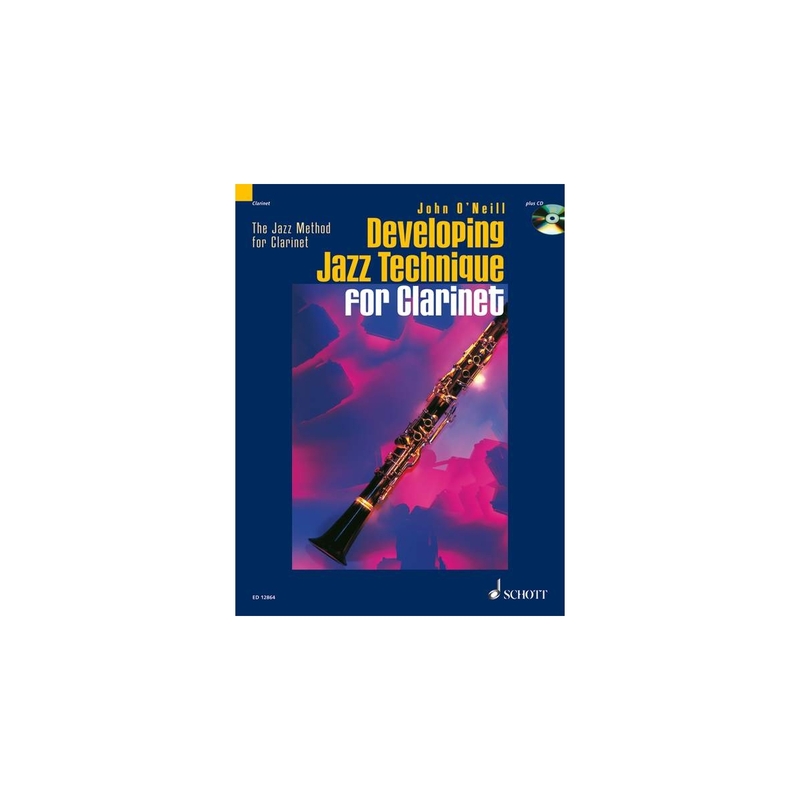 Following on from the best-selling Jazz Method for Clarinet, "Developing Jazz Technique for Clarinet" will help the intermediate player take their jazz skills to a new level. The pieces are written in a variety of styles, including blues, swing, New Orleans, ragtime, jazz waltz, bossa nova, samba, salsa, calypso, reggae and South African. Particular emphasis is given to helping the student improvise over chord sequences, such as the II-V-I progression. Idiomatic effects like vibrato, subtone, glissandi and 'bending' notes are dealt with, and there is a special chapter on overtones. Several new scales are introduced, including the whole tone and diminished scales, and a section dedicated to patterns contains many ideas of practising in all twelve keys. A superb rhythm section provides backing for all the pieces and exercises on the accompanying CD. This is the follow-on book to 'The Jazz Method for Clarinet'.